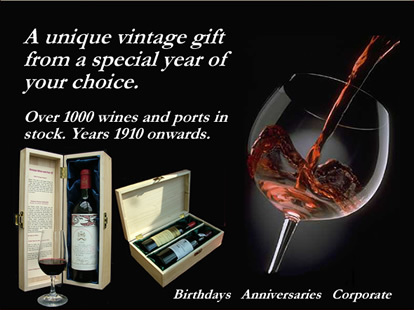 A 1984 Port would make an excellent 35 year old wine gift, whether for a birthday or anniversary. Although there was no declaration of vintage this year, some attractive single Quinta ports were produced. These bottles are by now fully mature but will keep for years. The 1984 vintage started off with a cold wet spring, with summer not really starting until June. The first three weeks of September were fine, hot and dry, but at the end of September the temperature dropped sharply and it never recovered. However, there was good weather in the final part of the harvest and the winemakers' skills were tested in order to produce a good wine. 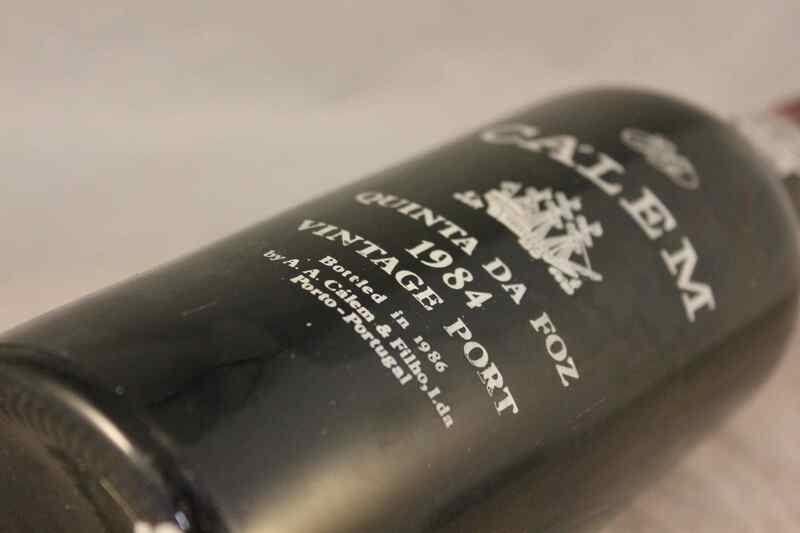 Some excellent examples of the winemakers' talent are around, such as Warre, Dow and Fonseca, as well as our wine buyer's recommendation: the 1984 Taylor's Quinta de Vargellas . Some excellent single-harvest Colheitas were also produced by Houses such as Kopke. A challenging vintage that produced some good wines in Piedmont by those producers that adopted strict selection techniques. Some weaker wines were produced in Tuscany. The first three months of the year were cool. Although the weather in April was better, May was cold, cloudy and wet causing problems for bud-break. Flowering was therefore delayed by two to three weeks. The ripening process was hampered as a result of an unsettled summer, however the vintage was salvaged partly by a warm final ripening period for Barolo. In Tuscany this was Chianti's first vintage under the new quality enhancing DOCG laws. This was a poor vintage and no Riservas were made. Producers had to rely heavily on concentrated and severe selection to produce acceptable wines. The Bordeaux vintage got off to a good start with a warm April. Things quickly went downhill after that; May was cool and rainy which led to poor flowering particularly for the Merlot crop. This had follow on problems in the Right Bank (St Emilion, Pomerol), as there was not enough ripe Merlot to create quality Bordeaux wine. The producers in the Left Bank tended to over compensate with more Cabernet Sauvignon. By the time July arrived, the vintage was lagging behind. July and August were warm, dry months which helped the left bank chateaux into thinking the vintage would end up fine, if their wines were Cabernet Sauvignon based. In September, Cyclone Hortense hit the Bordeaux wine region, the first in its history. Many right bank Chateau declassified their entire crop in St. Emilion and Pomerol. The left bank fared slightly better but the wines produced were diluted; few have survived today and those that have are now quite a rarity. Red bricking. Nose of stewed berries, some pencil lead, cigar box, leather. Palate of stewed blackberry, cassis, cedar, earth, stones. Still with some tannins to give it some structure. "A sensational bottle that simply defied every rule about Bordeaux. Intense liquorish, cherry liqueur nose: very rich. "after an hour it transformed in the glass. A rather one-dimensional nose that puts on weight: iron rust, dried blood, becoming a little farmyardy. Reminds me of a Cabernet Franc rather than Sauvignon.